– Waterproof nylon fabric, no need to worry about rainy when you riding. – Highly sensitive PVC window pouch design; suitable for touchscreen operation on smart phone. – With detachable shoulder strap, can be also use as a shoulder bag. – You can put the phone below 5.5 inch in the touch screen for easy navigation. 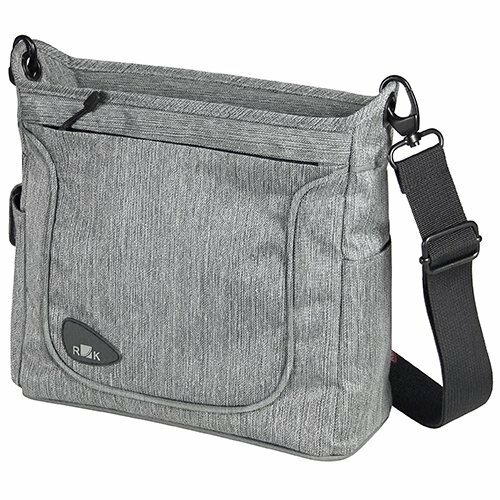 – Buckles design is extremely convenient to assemble and disassemble the shoulder strap. Please note: Hand-measured, error within 2cm is a reasonable range. ATTETION: The deformation of goods caused by extrusion in the shipping process is inevitable. Please consider this before purchasing. 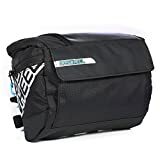 WATERWROOF & HIGH-QUALITY: Handlebar bag for bike is made from oxford fabric and transparent PVC, lightweight, durable and waterproof, no need to worry rain when riding. 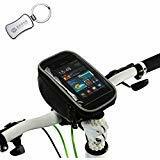 SENSITIVE POUCH: Installed in the bicycle and can touch the smart phone through the transparent PVC pouch. Highly sensitive PVC window pouch design, suitable for touchscreen operation on smartphone(screen size: 5.5 inches). 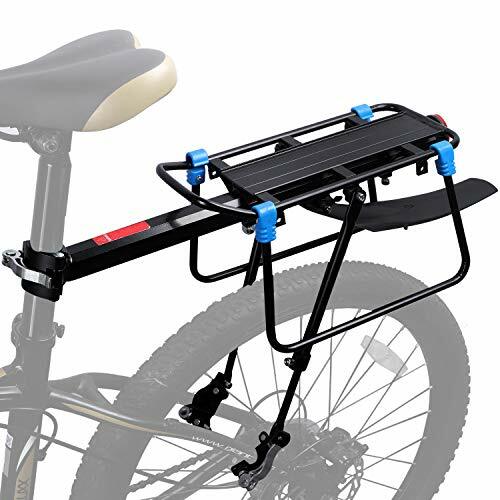 SPACIOUS CAPACITY & Waterproof Bike Pouch: Barrel body, large capacity. 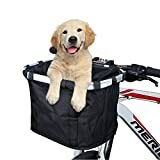 This bicycle bag can hold more carry-on items and you don’t need to worry about your valuables getting wet because of waterproof function. 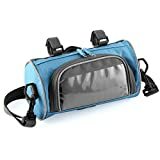 UNIQUE DESIGN: The U-shaped double zipper closure design makes the entrance of the bike bag large that can easily accessing to and fetching out of inside the items. SHOCK PROTECTION: There is shock pad in the bag to protect the valuable items.